I've just purchased a small 4oz. size batch of Envirotex Lite resin and will give something like this a try for one of my next digital photo art projects. This tutorial looks great, but read the comments about sealing the image with Modge Podge or another product first before applying the resin. Consider a process that involves wrapping the paper image completely over the tile and tucking the corners like a well wrapped Christmas gift before sealing it with a coat of glue and finishing it with the resin. 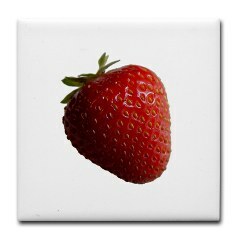 Then locate a large cork or rubber backing to cover up most of the backing for a more finished product. I've taken the five rose images first used on a series of five water slide transfers to wood and made them available on dye sublimation ceramic tile. 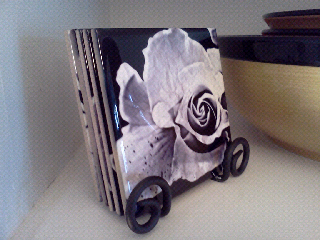 This one and four more in the Paper Ink Rose series were designed for a First Thursday fundraiser event. 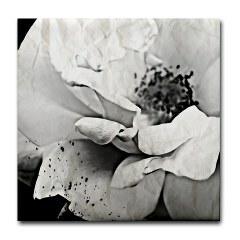 My original rose photographs have been altered with a filter to produce a crinkled paper and ink splatter effect. 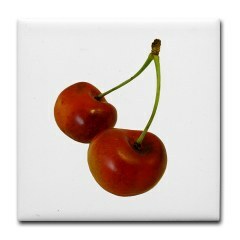 Find the complete series available for purchase as ceramic art tiles at http://www.cafepress.com/mikepdx/7839360. I've narrowed my subjects down to roses in honor of the Portland Rose Festival. Over the years I've accumulated hundreds of rose photos and went back through my collections looking for interesting shapes and designs within these images. 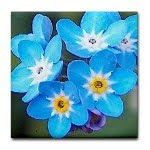 I've cropped my favorites and used an artistic filter which converts each image with paper crinkles and ink splatters. To me this speaks volumes about our town, literacy, books, and creativity. I'm hopeful the image transfer process to the primed boards will be a success. See http://mikepdx.com/artwork/node/73 for the main post about the First Thursday event. Update: The process went well and I've updated the thumbnails above with the final versions after much tinkering. The quality of the photos was not up to my standards, but they turned out well. The process first involved printing each archival inkjet image to waterslide decal paper. I've never worked with this paper before, so took some time to experiment with different applications and treatments. In the end I opted to use a mixture of archival craft glue and water on each 8" x 8" gesso prepared plywood board. 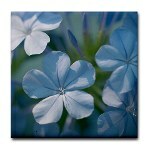 The printed and dried images had been cut to size, then soaked for 30 seconds each. 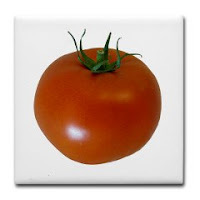 The image slipped off the backing and onto the board. Some required a bit more fussing and worry than others, but in the end they found a final position and were left to dry. About an hour later the glue on the sides was still just tacky enough to push down any minor overages and secure them in place. I'm debating whether I should varnish with a protective coat as I have done in the past with all my canvas pieces. 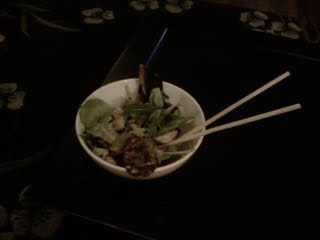 They'll need to dry overnight and there may not be time, but we'll see how they look in the morning. Five plywood squares sanded and primed with gesso. 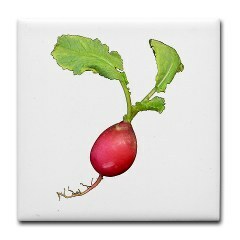 My friend Jim is interested in some red fruit and vegetable framed art tiles for his kitchen. 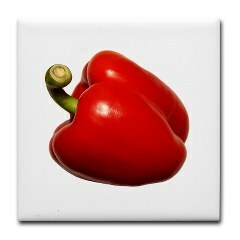 I resized the existing bell pepper, strawberry, and hot chili pepper images and added new tomato, radish, and cherry images. Hopefully he will find a few that work. 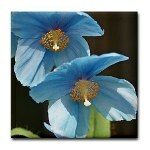 A colleague of mine was interested in some of my blue botanical images on tile and I realized I only have a couple designs in this range. I attempted to shift some of my newer and existing images in the purple range over to blue with Photoshop but that was a disaster. 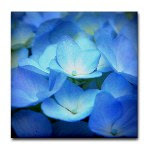 I ran around snapping pictures of blue hydrangea and other blue flowers and plants but haven't come up with anything too exciting. 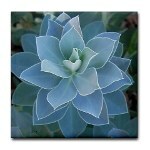 Visit http://www.cafepress.com/mikepdx.104674178 for my Blue Euphorbia image on tile, or check out the Creative Commons works at http://www.cafepress.com/mikepdx/7233453. 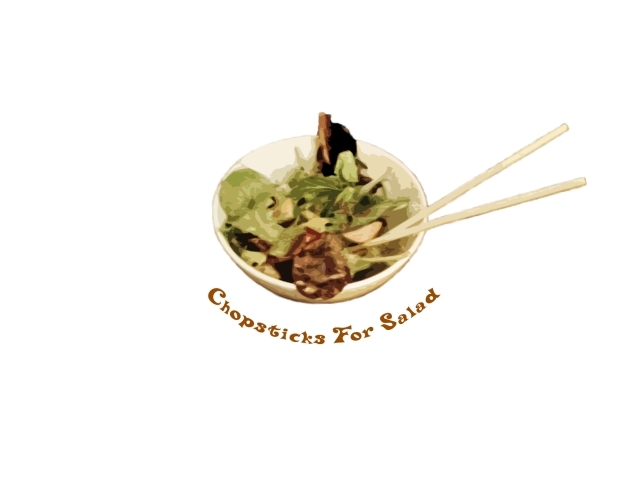 Find t-shirts, notecards, and other items with this design over at my Cafepress shop. 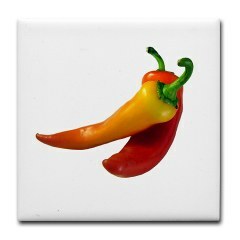 Welcome to my artwork blog where I will post information about my latest art and design projects.